In November 2011, the United Nations Educational, Scientific and Cultural Organization (UNESCO) officially designated April 30th as International Jazz Day in order to highlight JAZZ and its diplomatic role of uniting people in all corners of the globe. In 2014, Joburg will also be celebrating International Jazz Day in style, with a brand new Collaboration Project at a Venue that is now known as “Joburg’s new Home of Jazz”. 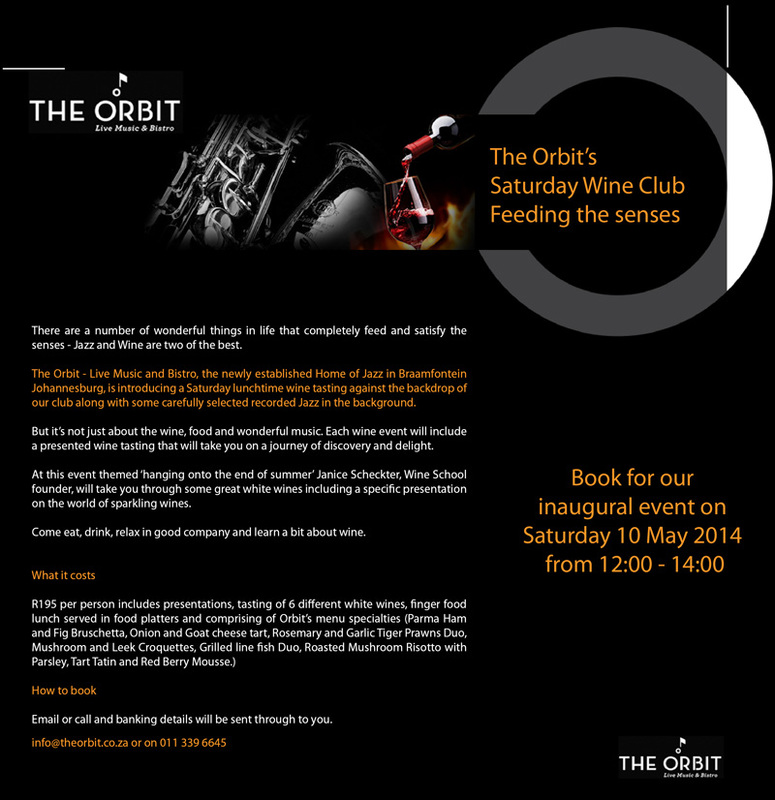 THE ORBIT – Live Music & Bistro has been in operation for just over a month and yet has begun to significantly change the landscape of the ‘Jazz Experience’ in the City of Joburg. THREE STEPS WITHIN – A brand new Musical Collaboration by 3 well established South Africa Musicians, McCoy Mrubata, Lindiwe Maxolo & Concord Nkabinde. This will be this outfit’s very first public performance that marks the beginning of a journey of inspiration & explorations. The sound of THREE STEPS WITHIN draws from the familiar history of our musical heritage and journeys through the present experience in order to find our future voices. “On a special day that celebrates “JAZZ” – an Art Form that has influenced & inspired the world, We are very excited to be launching a Project that we believe will echo the influences & inspiration of “JAZZ”. The very open-mindedness of “JAZZ” is the foundation upon which THREE STEPS WITHIN is conceived. Come and feast on the familiar whilst you drink from a cup of newness” – THREE STEPS WITHIN.